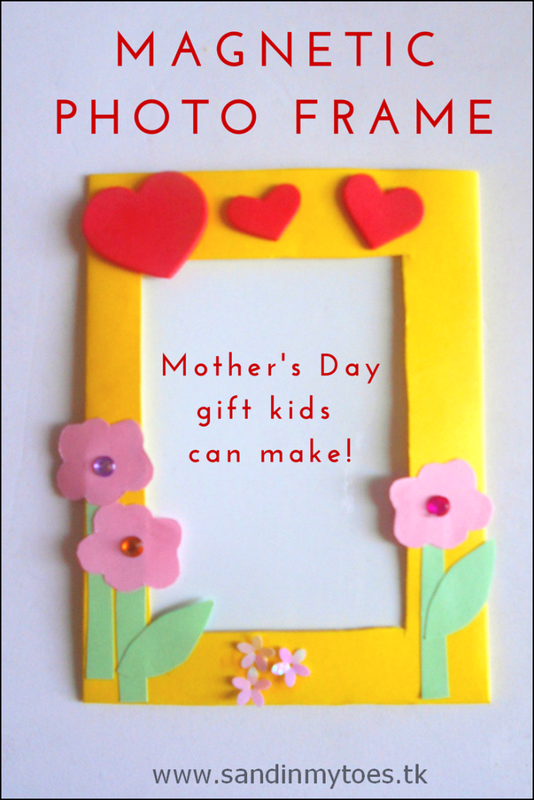 As Mother's Day is celebrated during March in the UK and the UAE (and soon enough, during May in the USA), here's an idea for a cute gift that kids can make for their moms. 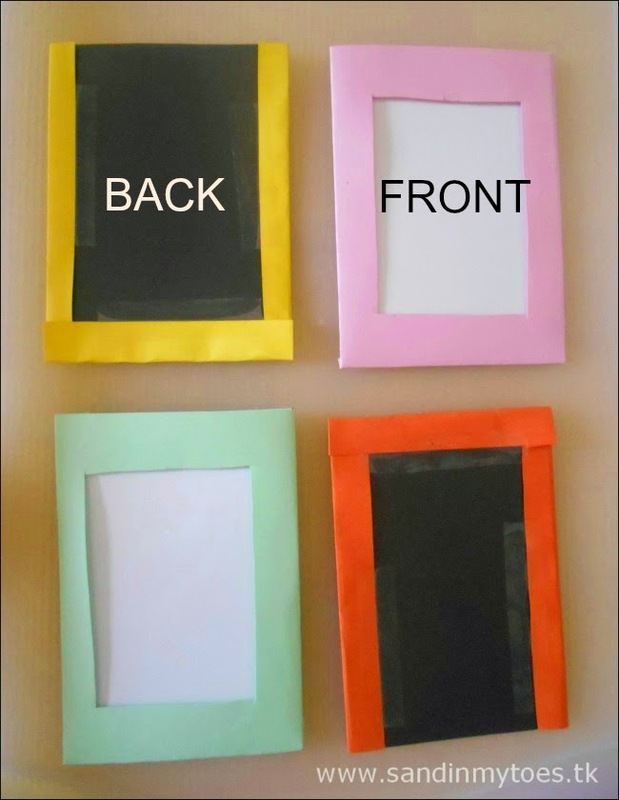 As a craft, these Magnetic Photo Frames allow for personal creativity and making them is a fun activity. 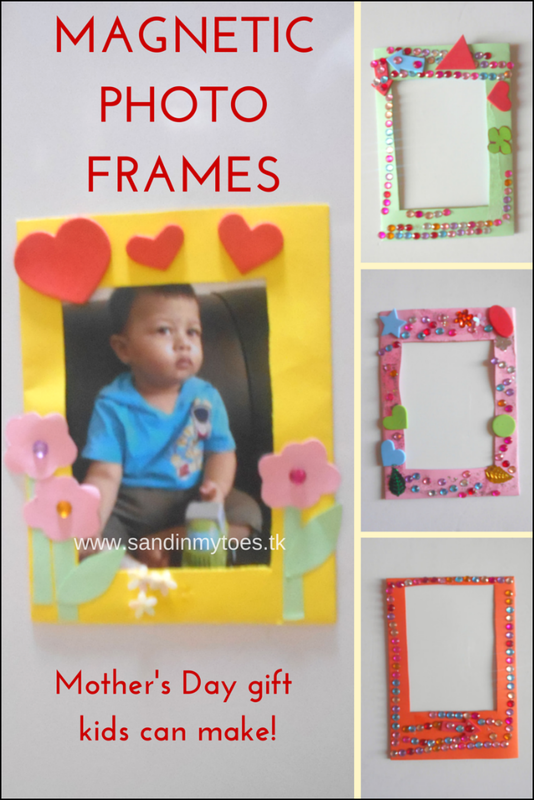 We made a couple of these frames during a play date. I made the basic frames, and then offered a range of embellishments, glitter, and foam stickers for the kids to decorate them with. 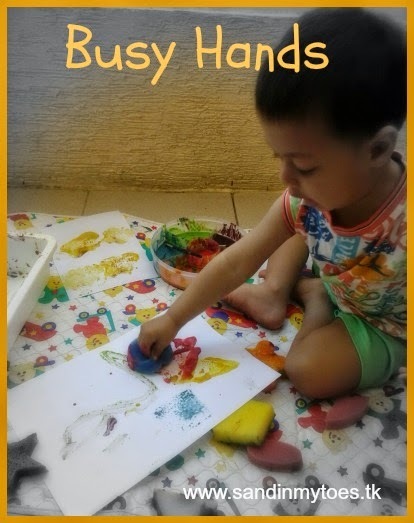 This craft suits toddlers and older kids alike. And I made one too! - Magnetic sheet - This comes in an A4 size that you can find in a stationery or craft store. If you can't find it, you can use magnetic tape with cardboard sheets. 1. I cut out the A4 sized magnetic sheet into four equal pieces. 2. Using four different coloured craft paper, I cut out the frame in a larger size than the magnetic sheet and taped it back, leaving one end open for the photo to slip through. 3. Then, I simply let the kids design their own frames. The good thing about this gift is that apart from the personalized design, kids can personalize it with a favourite photo too. A standard postcard size photo fits perfectly in this frame, so you won't have to cut it. I used a photo of Little Dude as a baby in mine! These frames would be great gifts for any special occasion and even for birthdays. You can also use the space on the frame to write a message! 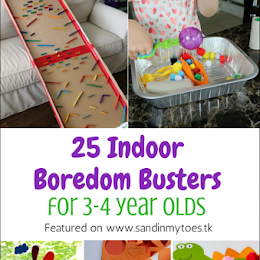 We had fun doing this with you! Thanks Abigail, I loved the green frame you made! 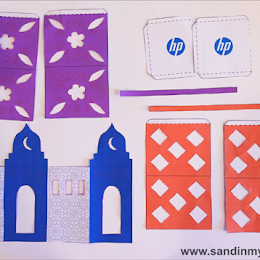 It continues to boggle my mind how you can keep coming up with these awesome DIY craft ideas! And for kids no less! I will most definitely pass this along to several of my mother friends as they will enjoy and give them ideas as well! I also always enjoy learning about different special dates on the calendar and how and when they are celebrated around the world! Great job, Tarana, and I hope you are having a wonderful week so far! This is a great idea for Mother's Day! 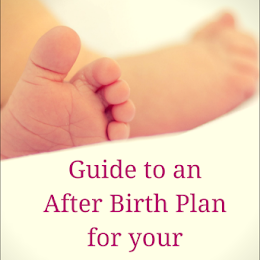 Thank you, Mike, I really appreciate your passing on my posts to other moms! This is a lovely activity for Mother's Day or Easter, personalised crafts like this are so much more appreciated.